ADD THIS WONDER PLANT TO YOUR FARMERS’ MARKET SHOPPING LIST. Maybe you’re thinking of planting lavender because it’s a beautiful addition to any flowerbed and because bees seem to love it. But its usefulness doesn’t stop there. Here are seven ways to put it to work at home outside or in an indoor herb garden. 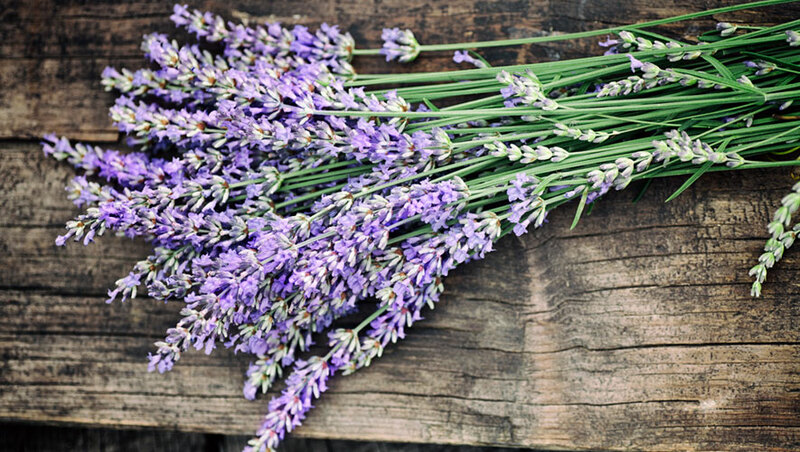 Dried lavender is a popular natural alternative to mothballs, which contain toxic pesticides. The scientific data is a little sparse, but one study did find that lavender essential oil was an effective insecticide against a specific type of moth larvae (orgyia trigotephras, to be exact), so we say it’s worth a shot. Fill small sachets with dried lavender and keep them tucked in your closet and wardrobe. Moth problem or not, these pouches will do double duty by leaving your clothes smelling fresh and clean. In aromatherapy, lavender is used to relieve anxiety and boost mood, so keeping it around the house may help you to relax after a long day. Incorporate it into your décor by learning How To Make A Lavender Wreath that will freshen the air and add charm to any room. Lavender essential oil has antibacterial properties, making it a popular ingredient in many organic and homemade hand sanitizers. You can find lots of DIY recipes online, many of which include aloe vera gel and witch hazel in addition to lavender oil. Several studies have found that planting lavender is an effective way to restore contaminated land, such as former mine sites, because it removes heavy metals and other pollutants from the soil. Even better, these contaminants don’t affect the quality of the lavender plant or its essential oil. Lavender is the secret to ultra-refreshing, lemonade. Simply blend lavender and sugar together before mixing with water and lemon for a floral infused thirst-quencher that’s naturally pinkish-purple in color. We’ve already mentioned lavender’s soothing effect, and the best place to take advantage of it is in the bathtub. Whip up an easy batch of rosemary-and-lavender bath salts in your stand mixer with homegrown or farmers’ market herbs for a therapeutic soak. Or add it to a homemade shampoo. Bonus: Treat your body to a rub with healing Tulsi Luminous Lavender and Pink Sea Salt Body Scrub. Science confirms what people have known for centuries: The scent of lavender has a soothing, sedative affect that can help you get to sleep. Make a tea with the flowers before bed or stuff a lavender sachet inside your pillow to help you on your way to sweet dreams and kiss the melatonin pills goodbye. It is soooo yummy; especially on a hot afternoon. Refreshes the soul!